Amplify engagement and expedite the management of site content, media, catalog data, search relevancy, pricing, and more from a single solution with Broadleaf’s B2C Commerce Platform. 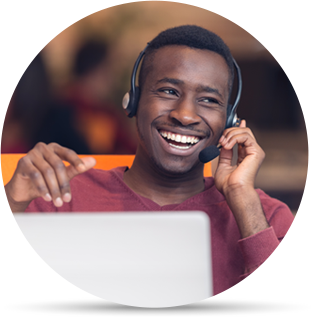 Post-sale, provide customer service representative (CSR) teams with order lifecycle insights and a streamlined RMA process for warehouse returns. 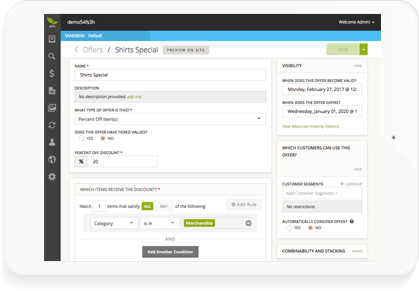 Additionally, offer customers self-service capabilities for complete order management - including order cancellations and product returns. 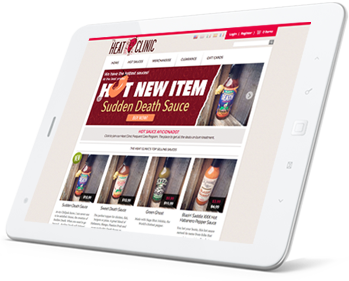 Fully customizable, robust, extensible, and complete with out-of-box features, discover why leading retailers are switching to Broadleaf. Tailor your system around your business - no the other way around. From highly curated user experiences to expedited deployment cycles; discover all the ways Broadleaf accelerates commerce management. 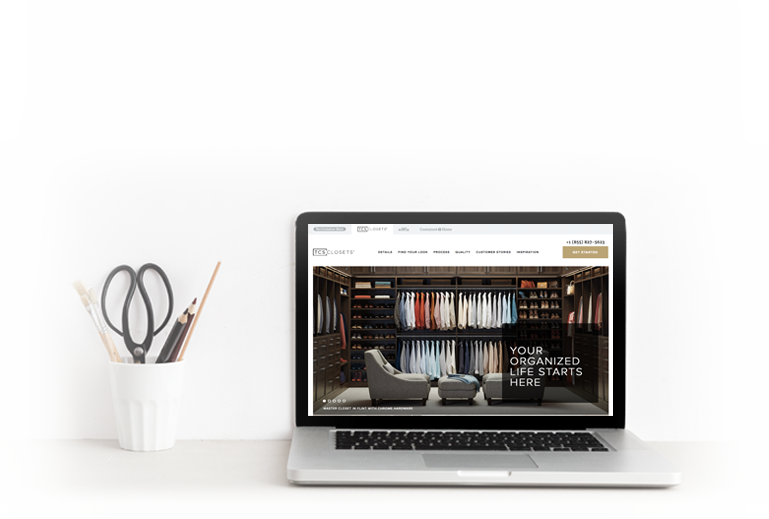 Tailor the customer journey, boost brand loyalty, and improve conversion rates with Broadleaf’s intuitive Content Management System (CMS). Create customer segments and deliver personalized experiences based an unlimited number of stackable parameters - including geography, site searches, order history, items in cart, etc. Define content zones and assign rules for rendering custom landing pages, content items, media assets, ad spots, offers, associated products, in-cart messages, and more. Assign user roles for permission-based management across site edits, approvals, and scheduled deployments. With just a few clicks, marketing teams can create bundled offers, BOGO promotions, end-of-season sales, on-site advertising, in-cart messages, generate unique offer codes, and design customer loyalty program incentives. Personalize the customer experience and improve conversions with campaign-specific landing pages, targeted content, bundled offers, and promotional messages. Enable teams to create customer segments based on location, date, customer segment, cart-contents, total spend, and more using Broadleaf's powerful rules engine. Designed to support traffic spikes and high-volume transactions, approach flash sales, Black Friday, and Cyber Monday with confidence. 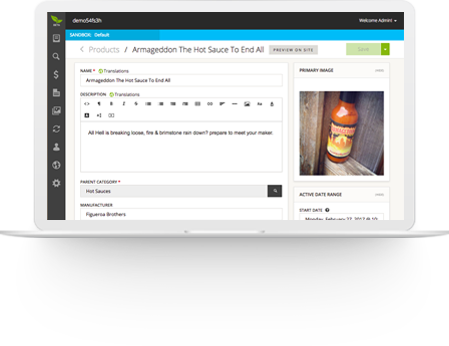 Make it easy to instantly connect your customers with the products they seek, with search engine friendly URL structures, Broadleaf Site-Search and SEO features backed by SOLR. Create custom URLs for any content item, product, and category or allow Broadleaf to automatically render URLs and generate sitemaps following SEO best practices. Organize products into categories with dynamic search facets and allow customers to search results across a variety of criterion. Boost search results based on flexible relevancy rules, including preferred vendor, profit margin, or any other business objective. Generate new catalogs, define offers and promotions, and even select pricing parameters with Broadleaf’s Catalog Management system. Reduce time-to-market by sharing product detail themes across an entire catalog or create custom product detail pages as desired. Assign product attributes - including names, descriptions, digital media assets, categories, shipping options, and URL information. Implement catalog-based marketing incentives for cross- and up-sell promotions. 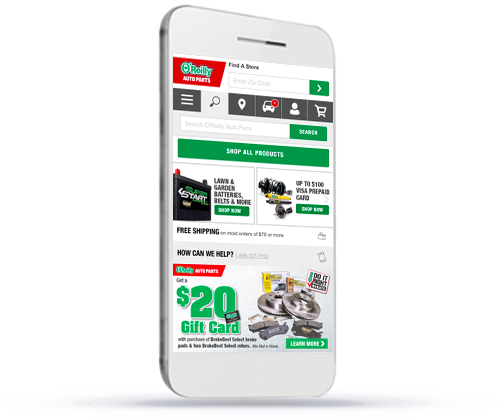 Link associated products from a single catalog or coordinate between multiple catalogs, create messaging, and set targeting parameters for personalized promotions. Maintain visibility post-sale and outfit customer service representative (CSR) teams with tools to track order history, fulfillment, blocked orders, fraud alerts, issue customer credits, and more. Streamline order processes and provide post-sale transparency with robust order search mechanisms. Push order updates, trigger alerts for shipping notifications, and integrate the system with customer relationship management (CRM) tools, including SalesForce. Easily integrate with warehouse and fulfillment systems to provide an accurate view of the order, split orders, and coordinate RMA processes. Provide customers with self-service capabilities, including cancellations and product returns. Trusted to support Fortune 500 enterprises, Broadleaf powers commerce operations for some of the world's leading brands. Do you need to manage multiple brand sites with unique user experiences? To see the B2C Edition in action, try it out. If you're a developer, we encourage you to view our Community Edition to explore the code.